Personalised whistle, engraved with the name, year etc. Comes in a nice presentation box ready to give as a nice gift to any official, coach and more. 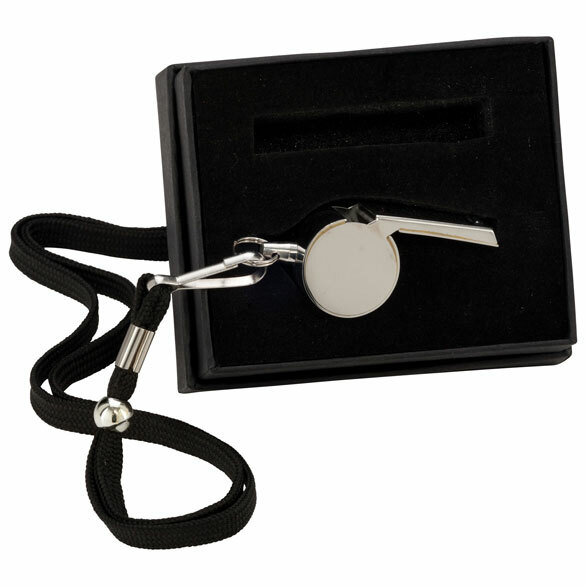 Silver plated referee's whistle, gift boxed.